And after reading those tips, if you're looking for basement or attic organizing inspiration, you can also check out my Cleaning & Cleaning Supplies board on Pinterest! Do you spring clean your home? How do you clean it? 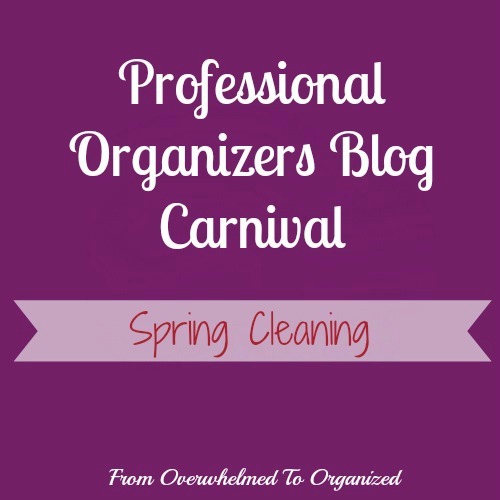 Which of the posts in the Professional Organizers Blog Carnival will help you with your spring cleaning the most? I started my Spring Cleaning all gung ho this year and I'm now proscratinating on finishing the rest of it! Hopefully this will get me started on going at it again! May is going to be my big spring cleaning month! This will come in handy!